Short, sweet and to the point. This is what we are told in business, life and especially Kickstarter. With limited attention spans, narrowing horizons and an emphasis on cool it can be said most businesses and entrepreneurs prefer playing it safe to taking bold risks. This isn’t some internal deficiency or weakness of character however…it is hardwired in all of us. In pre-historic times sticking out from the pack was a death sentence. We evolved to fit in and frequently strive to do just that. First on our list of intriguingly original Kickstarter campaign videos has to be Nutlock. 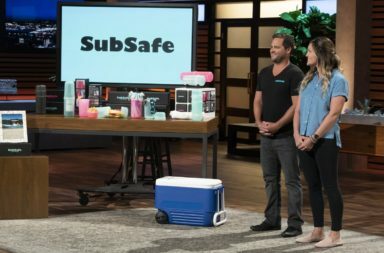 These innovative entrepreneurs and recent(podcast guests and) college grads got into the entrepreneurial game from inspiration from the popular startup show Shark Tank and decided to pay tribute to their beginnings. In a beautifully executed pitch video Mikey and Amir make magic happen by parodying the Shark Tank and bringing in actors to play the various overly wealthy VCs offering funding. As a big fan of the show myself this is an amazing approach to take. It plays on the potent power the actual show possesses and instantly makes individuals in-tuned to their message. With massive props for originality in a creatively copying way this is one of the most powerful campaign videos I have ever encountered and builds upon a possibly of other reality focused Kickstarter videos in the future. As a word of caution however avoid adding any overly trademarked images or ideas into your content to prevent possibly grumpy big wigs from attacking your tiny company. The creative copycat method is a high risk, high reward setup. If you nail it individuals everywhere will respond but even the tiniest of errors equates to massive failure and an ineptness no campaign can recover from. A girl with a dream went to Kickstarter. She wanted to overcome the life of the starving artist and help launch her band into fame. Her name is Amanda Palmer and her campaign went absolutely viral. Raising almost $1.2 million and yet not word spoken. As you can see from Amanda and her team were truly creative. They understood the power of being different. They are the indie, hipster band that would never admit to being true hipsters. They are originals. And in the video true creativity and passion are shared. The story cards carry such strong weight. Much more so than any voice could possibly tell. It is almost impossible to put to words what one feels when watching the video and that is the point. No words, only emotion. Her team pushed the boundaries on what it means to be a Kickstarter video and surely succeeded. And while copying her creative note cards could certainly backfire try to picture exactly who your ideal audience is. Creatively engaging their individuality is what Amanda did best. How can your campaign unconventionally connect and appeal to backers? From a more than eleven minute long Kickstarter campaign video to absolutely avoiding the product Pono broke many cardinal rules of Kickstarter campaign videos. Instead of awful failures and unhappy founders this campaign crushed it beyond anything imaginable. Pono’s team of prolific creators, music masters and tech gurus raised nearly $6.25 million dollars without even showing off a product. And the pitch was perfect. Let others do the talking for you. Pono puts takes the elements of surprise and social proof to the positively most powerful positions that can be had. From Jack Johnson, Dave Matthew, the Mumfords and a myriad of other musical madmen, Neil Young and the Pono Music team put forward arguably the most amazing campaign with a complete emphasis upon the influencers and users of the product. While this star studded approach may at first glance appear out of reach for many mainstream Kickstarter creators, the methods behind Pono are tried and true. People place amazing importance on the opinions of others. Showcasing raving reviews has long been a master marketing move and makes perfect sense to share in Kickstarter videos. Adding a flair for the dramatic and a bit of mystery may well weave into the financial fabric of your campaign as well but always ensure complete honesty with your backers. For all of my unbridled animosity towards the overly viral Potato Salad campaign and its potential ill effects upon the Kickstarter community it did dominate. Despite offering absolutely nothing but a bit of humor Potato Salad was able to raise $55k, all without even a video. No video. This is heresy in the world of crowdfunding and yet was played to perfection. And arguably this infamous campaign couldn’t have sustained the superbly silly success it did with the effort necessary to produce a video. I can’t condone the Potato Salad, it stands against everything Kickstarter stands for yet it offers an important lesson. The rules are meant to be broken. Backers, people and society in general appreciate original every now and then. You do not have to have a video in order to succeed. Not all Kickstarter videos need to be particularly pertinent to be successful. A lot of the importance in creating a killer Kickstarter campaign is the emotional connection with the creator. When businesses build trust and rapport with audiences it is the emotional lightbulb which illuminates their wallets. You can feel passion and personality permeating this entire campaign. There is an absolute understand of what Zach and Freaker USA stand for. A hipster-esque , completely original and excitingly awesome life. The entire flow of Freaker’s pitch couldn’t be more perfect. The production plays like a cross between a simple home video, an artistic masterpiece and a Lady Gaga music video and undoubtedly Zach and team triumph in complete unexpectedness. You can’t help but feel one with the campaign and the creator and this is the entire goal. 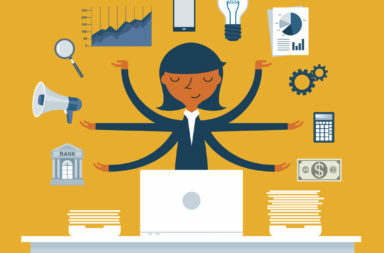 Many campaign creators fail to show themselves and their personalities by pushing off production, ideas and video appearances ton other members of the team. Corporate culture, mass media and many things try to make us something we are not and by being ourselves our videos, campaigns and creations stand such a better chance of success. When you have an amazingly simple, yet elegantly beautiful creation is a product pitch even necessary? Past podcast guest and supremely skilled engineer, entrepreneur and foodie Michael Finizio thinks not. If performance is any indication, his Apple-esque Kickstarter campaign video was absolutely the ideal approach. Overcoming conventional Kickstarter and marketing ideologies Fonde is the epitome of surprisingly simplistic perfection. Products such as these exquisite designs deserve amazingly beautiful presentations. Yet the raw ease of creation for this timeless 1:27 video is anything but easy. Finizio and crew spent an entire day dedicated to nothing but perfecting the emotional and compelling display of art you see today. And the results are stunning. For other demonstrative products are words even necessary? Can you convey the emotion, the appeal and the story of a creation without words? That is the mark of true genius and played a pivotal role in Fonde’s phenomenal success. If you came to this post seeking a sure fire way to make your campaign video shine you are sorely mistaken. These are anything but perfected paths to victory. Instead ever inspiringly creative entrepreneur on this list made the conscious decision to derail the safe and mundane methods used by most. That is the lesson to be learned from these leaders and innovators. It is not about finding footprints in which to follow but realizing that blazing your own trail is the most effective way to wealth, success and happiness. Push the boundaries, push the limits and try to do something different and original. It is the only way to shine in such a crowded pack of inspired ideas. What Kickstarter videos have stood out most memorably to you? Surely I have missed many important ideas and innovations that needed to be shared. Help us empower others by adding your experienced input or sharing it with others. Our community is greater than the sum of its parts.